Over the last few years I’ve been involved with a multi-campus group thinking about the many different ways that the concept of sustainability is used. 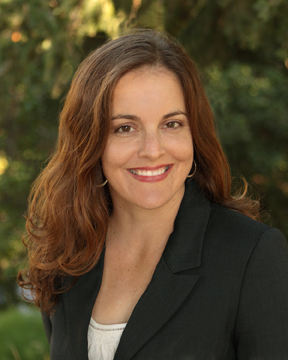 Under the able leadership of Miriam Greenberg, this group recently launched an collection of digital essays called Critical Sustainabilities: Competing Discourses of Urban Development in California. It features short case-studies to show how the idea of sustainability is used for competing political purposes. It also features essays about key-words that underpin sustainability debates. The project’s focus on Northern California complicates the ways in which the area is often seen as a model of sustainability efforts. My contribution, with co-author Lindsey Dillon, analyzes efforts to create a policy mechanism by which energy created from trash could qualify for sale as renewable energy in California. This poses the strange prospect of categorizing trash as a “renewable resource.” We locate this debate in the small farmworker town of Gonzales. A proposal to locate what was alternatively called a “waste-to-energy plant” or an “incinerator-in-disguise” was recently defeated there. Though the case center on Gonzales, the broader conflict is happening nationwide. You can read our piece here. Those of you with overlapping research interests may be interested in submitting a paper to the group’s proposed panel at the 2016 annual meeting of the Association of American Geographers. 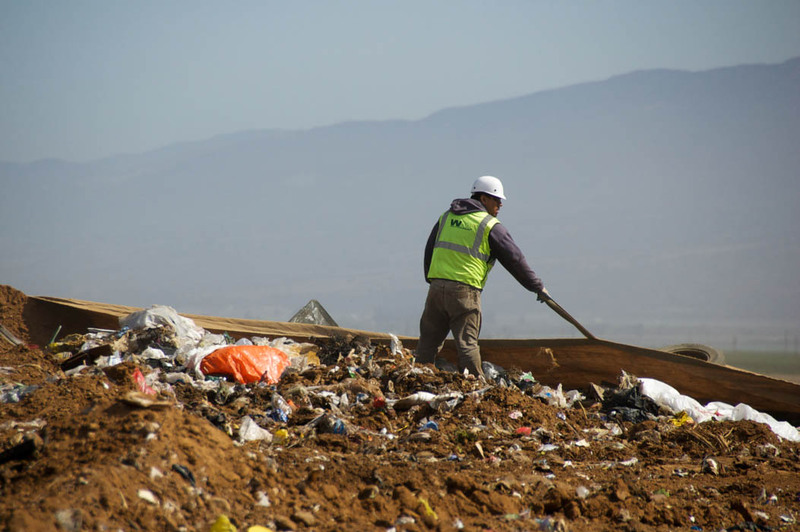 Workers cover the existing landfill at the site of the proposed “waste-to-energy” facility in Gonzales. There are a variety of publishing genres in academic life. Book reviews, encyclopedia entries and book chapters in edited volumes are just some of the opportunities that may come your way while you are a student. I’ve written one book review, one book chapter (coming out in April! ), one article in a cross-over magazine meant to be read by scholars and the general public alike, and several online pieces (stay tuned for the launch on of the Critical Sustainabilities project!). I’ve learned a lot from all of them, and in future years I hope to try my hand at writing reports and opinion-editorials as well. Still, publishing peer-reviewed articles in academic journals remains the gold standard of academic writing and is the kind of publication that will help you the most if you hope to pursue a career in academia after graduation. I’ve had one of these published so far and a have a second going through the submission and review process. The rest of this post focuses on these types of publications. The first official journal article I published grew out of my master’s research. Since this project involved collecting new data and making my own argument about it, it was a good fit for publication. Other opportunities may come to write more theoretical pieces out of field-statements written as part of the qualifying process, or perhaps from class papers. Once you know what writing you want to publish, the next step is to figure out where to publish it. Trying to find the right journal for your article can be daunting. My strategy was to ask several different advisors and published peers about the journals that they follow, and for recommendations on where to submit my own work. Then I spent time looking these journals up online to get a feel for their content. Usually this meant purusing recent tables of contents. It is also wise at this point to think about the subfield of your discipline in which you hope to specialize, and to target a journal within that field so that your writing will get in front of the eyes of the subgroup of academics whom you hope to join. Again, getting this kind of information requires talking to people who know your field well. Keep in mind that you can only submit your draft to one journal at a time. 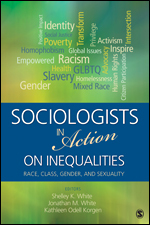 I submitted my article first to Social Problems. The editor quickly got back to me with nice things to say about my work, but recommended I seek out a more specialized journal as my piece was too narrowly focused to be able to make a contribution to their larger theoretical themes. I then resubmitted my piece to Organization and Environment, where it was accepted after two rounds of revisions. Over time, I’ve developed a better sense of the different journals in my field as I see my peers publish in them and as I read more of them myself. I have also found it helpful to subscribe to the “table of contents” e-mail alerts at a variety of journals that interest me. That way whenever they publish a new issue, I get an e-mail that lists the new article titles and their authors. Even without reading most of these articles, over time the e-mail alerts have given me a much better sense of what kinds of articles are appropriate for which journals. You may also hear about journal “impact factors.” This numerical score reflects how widely cited the articles published in the journal are. The higher the impact factor of the journals in which you publish, the more “successful” you will be considered by the academic establishment. Nonetheless, I’ve largely ignored impact scores at this early stage of my career and focused instead on getting published by the journals that are best suited to my work. After completing my thesis, I whittled my 70-odd page paper down into something closer to 20 pages. Doing this forced me to pick one of the several arguments in the original work on which to focus, to get to the point much faster, and to be vigilant about cutting text that did not explicitly support my main argument. Next I revised the piece to fit the requirements of the journal to which I was submitting. These requirements are usually available on the journal’s website under a heading that says “Submit a Manuscript,” “Author Guidelines” or something of the sort. Revisions often include changing the citation and reference style, editing your work to fit within page or word-count limits, or formatting tables and appendices in specific ways. You may also decide to revise your work substantively as well by emphasizing themes most relevant to that particular journal. The actual submission process itself is usually fairly straightforward – simply create an online account and follow the journal’s instructions. In addition to your final article, you will input your personal information, keywords for the article, an abstract and a second version of the piece without your name and other identifying information. Your article will go through a “double-blind” review process intended to keep you from knowing who your reviewers are, and to keep them from knowing who you are. There is often also a space to include a letter to the editor. When I submitted for the first time I just wrote something short and generic such as “Dear [editor’s name], Please accept this article for consideration. I look forward to hearing back from you.” However, I’ve since read other opinions on how to use this space. See here and here for more information. After you submit your work, one of two things will happen. The editor will reject the article without sending it out for review, or will contact other academics with expertise in your topic to read and comment on your work. If the first happens, you will likely hear back from the editor fairly quickly. If the latter happens, it will likely be several months before you hear anything. If the article does get sent out for review, you will hear back that it has been rejected outright, that it needs to be revised and resubmitted for a second assessment, or that it has been accepted with few to no revisions necessary (this last option is extremely rare). When you hear back from the editor about the status of your submission, look at the brief note that tells you whether it was rejected, critiqued with a request for revisions, or accepted. Then, ignore the e-mail for a week or so. I’ve found that I can better tolerate the sting of the critiques provided by the peer reviewers if I separate the time between finding out the status of my submission and actually reading the detailed comments. In my case, my article was sent out for review by the second journal to which I submitted, and I then received a request to “revise and resubmit.” One of the critiques of my work was that I had overgeneralized my findings as well as overstated their significance. I’ve heard from several faculty members that this is a common problem amongst graduate students, so be on your guard for these problems. I revised my paper accordingly and resubmitted it, after which it was sent out for review again. One of the reviewers was satisfied with my changes, and the other requested further revisions. I made further revisions and submitted the paper for the third time, after which it was accepted by the editor without being sent back out to the reviewers. This revise and resubmit process can be tricky. You want to make all of the revisions suggested that you believe will strengthen your work, or that can be made without taking away from your argument. You also need to decide which revision requests you will not fulfill because they conflict with the argument you are making or with the overall direction of your piece. You’ll need to then write a letter to the journal’s editor explaining the changes you have made, and justifying those you have not made. It may be wise to have a friend or colleague read this letter before you submit it. I asked someone else to read mine to help me edit out the defensive tone that snuck its way in there despite my best efforts to respond professionally to critiques of my work. Although journal publishing is meant to be double-blind, either the author or the reviewer will often know who the other person is by the content of their writing. Academia is a small world and you will likely be interacting with your reviewers in other settings in the future, so it is best to remain cordial and focus on how the process helps you improve your work. Here are the first and second cover-letters that I wrote to the editor during revisions process. Comments by the reviewers are redacted as their writing is not mine to share. When your piece is finally accepted, it will be copy-edited by the publishers for typos. Nonetheless, it is important for you to read the final version of your work before it gets published. This may be another good time to recruit a friend’s help. See Tanya Golash-Boza’s blog post for more details on how to manage this stage of the publishing process. Publishing takes a long time! I finished my master’s thesis in 2008 and published the article based on that research in 2012. However, much of that lag was due to the fact that it took me a long time to get around to revising my thesis into an article. To speed things along, be sure to resubmit your article to a new journal in a timely fashion if it gets rejected. Don’t forget to celebrate your progress at each turn! Did you submit an article? Turn in a revision? Get something published? Find ways to celebrate these successes!